Apologies for the lack of recent updates! Gratuitous picture of Bruce. A Brucey bonus, if you like. I have to tell you, I am a huge fan of The Boss (incredibly huge at the minute), but this line gets on my wick. A union card and a wedding coat? Diddums! Mary got stretch marks, heartburn, whacked in the belly from the inside and the unique joy of having to pee every couple of hours during the night. I’m not surprised she had some complaining to do, especially if you’re going around bemoaning the demise of your days having fun ‘down at the river’. In writing terms I’m enjoying a lovely period of chatting with agents and publishers and getting feedback on my novel, thanks to the Undiscovered Voices competition. It seems that everyone involved in children’s publishing is completely lovely. Who knows where it will all lead; at the minute I am delighted that some industry professionals are reading my work and giving me some really helpful feedback. Meanwhile I am turning over an idea for a new story in my head, and I’m really glad that there appears to be room for it as the baby shrinks my brain to approximately the size of my bladder (think ‘walnut’). Hopefully, unlike poor Mary, my pregnancy won’t be all I have written by the time bubs gets here. 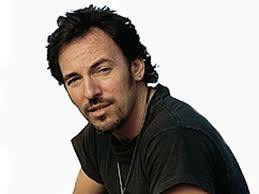 I’ll leave you with Bruce.